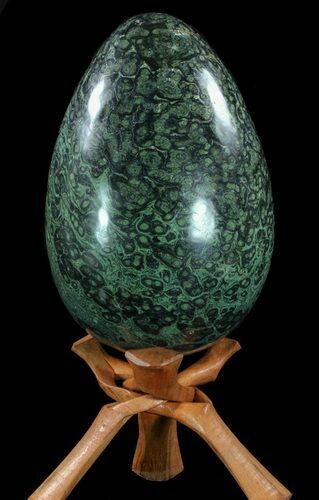 This is a spectacular, hand polished egg made from Kambaba Jasper found in Madagascar. 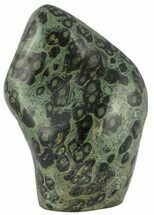 It is 12.7" tall, 8.4" wide and has dark circular mineral formations throughout the jasper. 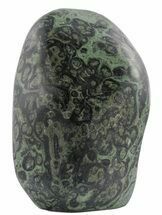 This nearly 47 lb specimen comes with a wooden stand and displays nicely on a hard surface. 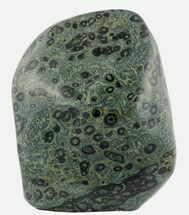 Kambaba jasper is mined in the desert regions of Madagascar. 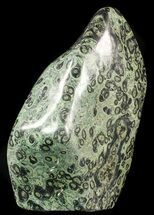 It's believed by many that this form of jasper is stromatolitic, meaning it would be a fossilization of billion year old algae. 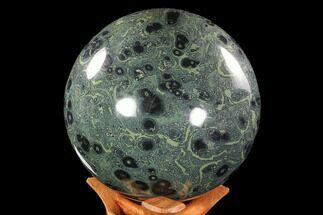 However, this has been disproven by the same experts who also concluded that the mineral conglomeration technically isn't a jasper. 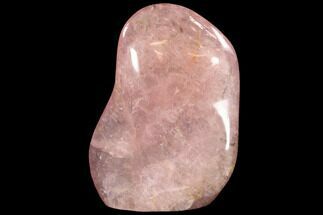 It is composed mainly of quartz, pyroxene and round formations of alkali feldspar. 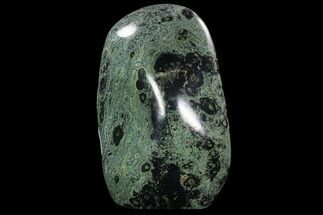 But for the sake of identity purposes, it's still commonly referred to as "jasper".